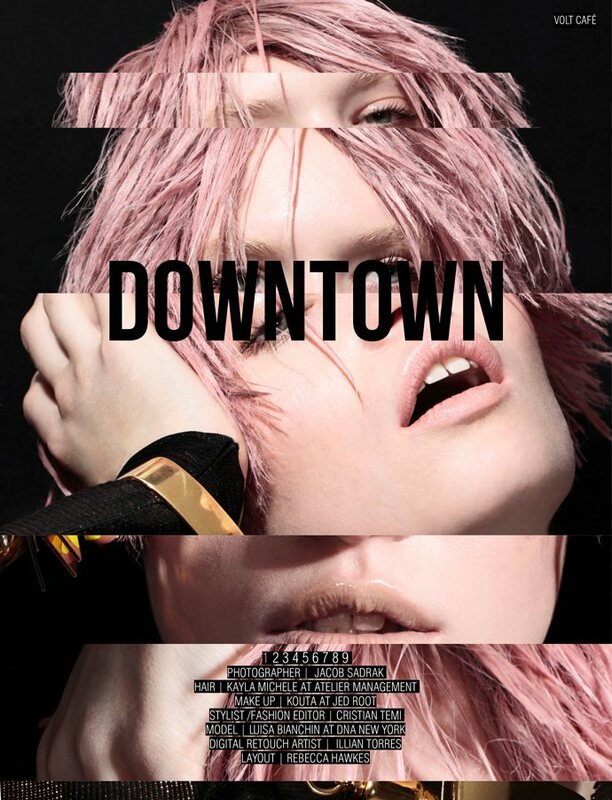 Get a Jolt from Volt, and dare to defy normal with Jacob Sadrak’s latest beauty editorial, ‘Downtown.’ Luisa Bianchin goes for bold, with a stunning combination of wild pink locks and rainbow-bright nails. Break free from your golden-handcuffs and add a little beauty-excitement to your daily routine. With the magic a temporary hair-color/makeup, the commitment is minimal. Modern colors have a futuristic-edge, that when mixed with the right trends, can result in something all together stunning. Forget what you think you know about pink, or bleached-out brows – New Beauty – requires a complete rebooting of our style concepts. Venture outside of your comfort zone, and give yourself a chance to change. Not every look is appropriate for everyone, but don’t discount something right out of the gate. With a touch of Power-Editing, we can take the best parts of one thing and mix them with another, for the perfect style-hybrid. 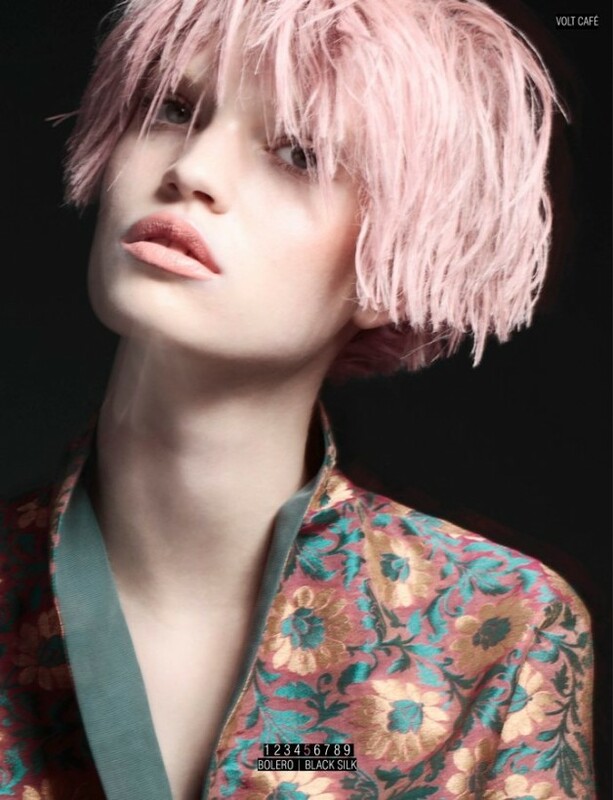 I may be too old to rock an entire head of pink hair, but this layout has me considering adding a subtle hint of this hue underneath my blonde. And while the “no-brow” look really is best kept on the runway, I’m loving the variety of bleached-brows that are making the rounds. They make the eyes pop in an exciting new way, that has me rethinking my addiction to the “perfectly-coiffed,” darkened brows. 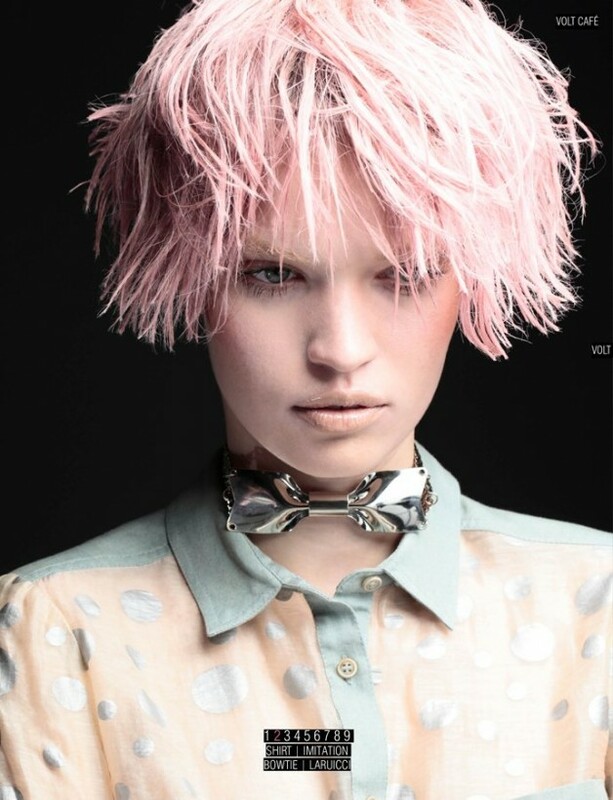 It’s not just a question of being current or fashion-forward, it’s about infusing variety into your life. Let your Wild-Child out to play, you can always pack her back up if she starts getting annoying.